All the headboard sizes above will have an additional 7” mattress panel. 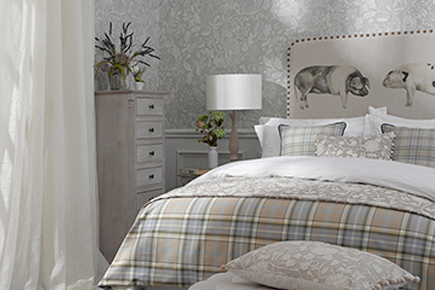 This stylish headboard looks fantastic in our Woburn stripped fabrics. 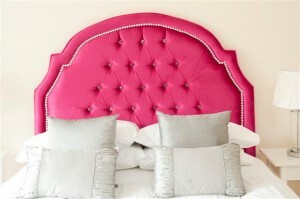 This elegant headboard would suit any room. 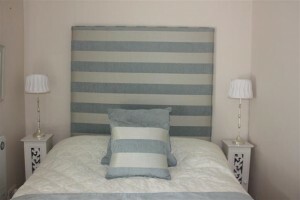 If you don’t fancy stripes then take a look at our Classical Plain Headboard. 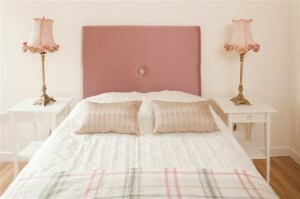 The srippe Headboard is 100% Irish made. The standard height of this headboard is 36”. This headboard also has an additional 7” mattress panel. 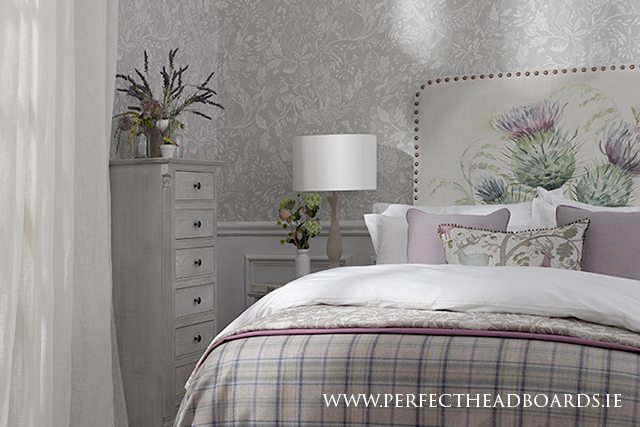 From our signature range this elegant chrome studded headboard is bound to become the talking point of any bedroom. Each chrome stud is individually inserted into the headboard ensuring that ht headboard is of the highest quality. Customers can also opt for brass studding or crystal studding if desired. 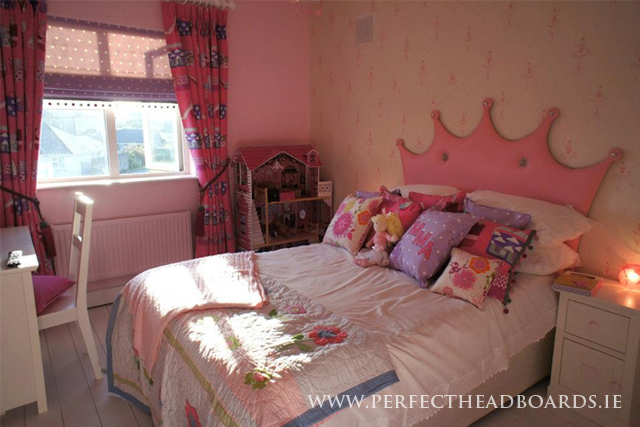 This headboard is 100% Irish made. The standard height of this headboard is 36”. 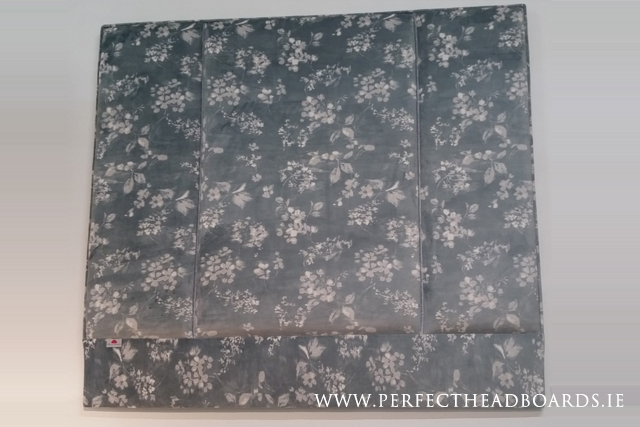 This headboard also has an additional 7” mattress panel. . Customers can request an additional 5 or 10 inches if desired when using one of our plain fabrics. 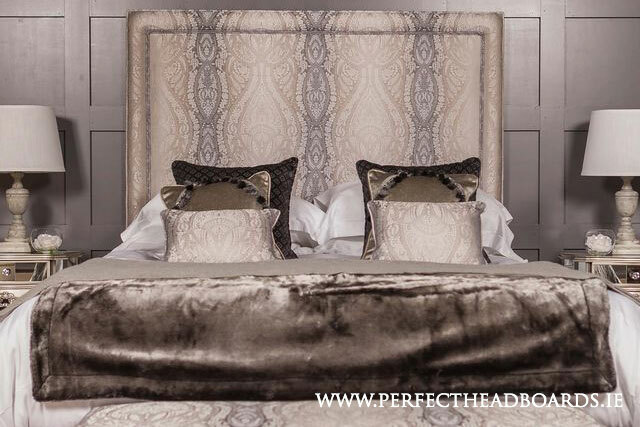 This opulent headboard is the height of luxury with its stunning crystal studded detail and its crystal deep buttoned panel. 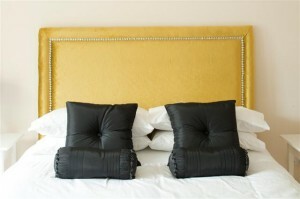 This unique headboard is a statement piece for the Master Bedroom or Guest Bedroom of any home. 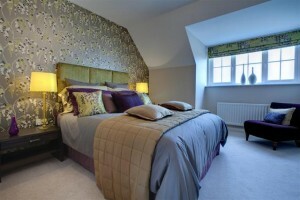 We are so proud of the design of this headboard that we have based. Each crystal stud is inserted individually and great craftsmanship has gone into this headboard to ensure it is of the highest quality. 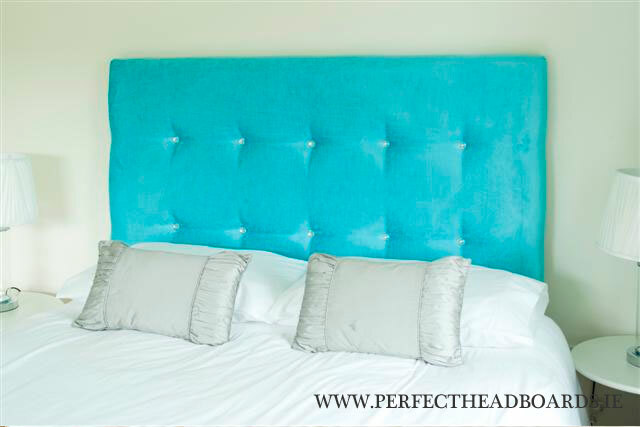 This headboard is 100% Irish made. 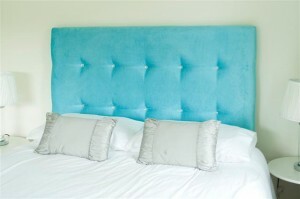 The standard height of this headboard is 36”. This headboard also has an additional 7” mattress panel. . Customers can request an additional 5 or 10 inches if desired when using one of our plain fabrics. 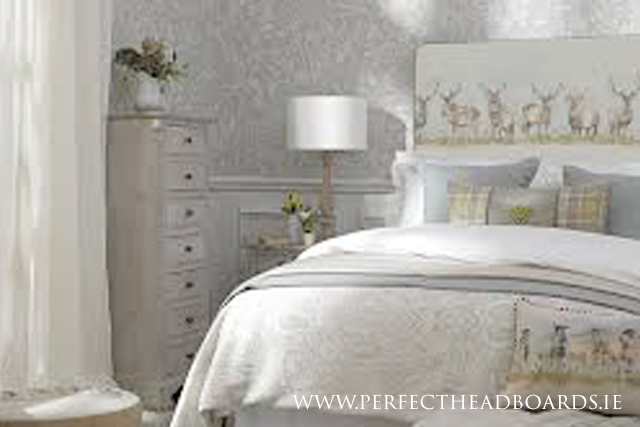 This Gothic style headboard is beautiful in design and quality and looks fantastic in any bedroom in a home. We find this headboard is also very popular for boys bedrooms as it tends to suit all fabric types, but it can look particularly fabulous in our stripped fabric collections. This headboard is 100% Irish made. 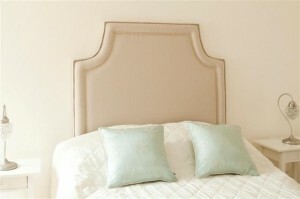 The standard height of this headboard is 36”. 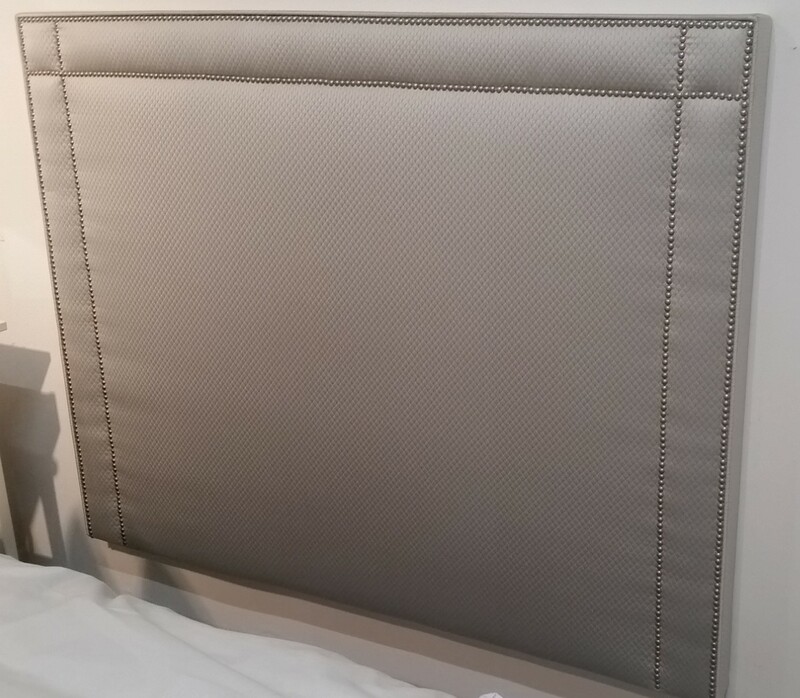 This headboard also has an additional 7” mattress panel. . Customers can request an additional 5 or 10 inches if desired when using one of our plain fabrics. 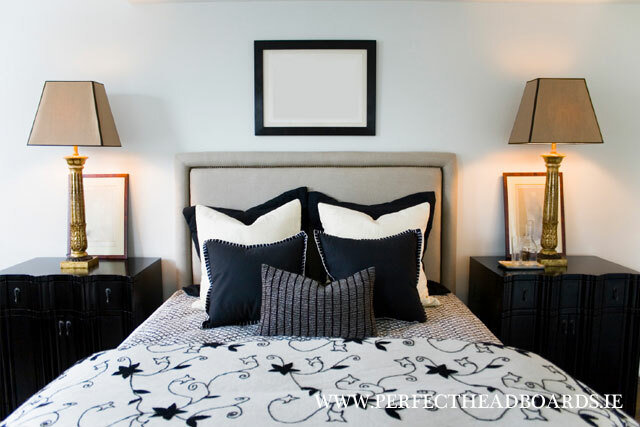 This simple buttoned headboard is extremely stylish and sophisticated and is sure to be a talking point for any bedroom. 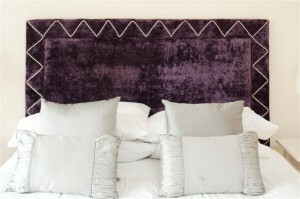 The addition of the beautiful crystal buttons gives it the edge and makes it a truly unique headboard. 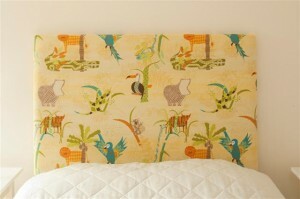 This headboard is 100% Irish made. The standard height of this headboard is 36”. This headboard also has an additional 7” mattress panel. . Customers can request an additional 5 or 10 inches if desired when using one of our plain fabrics. 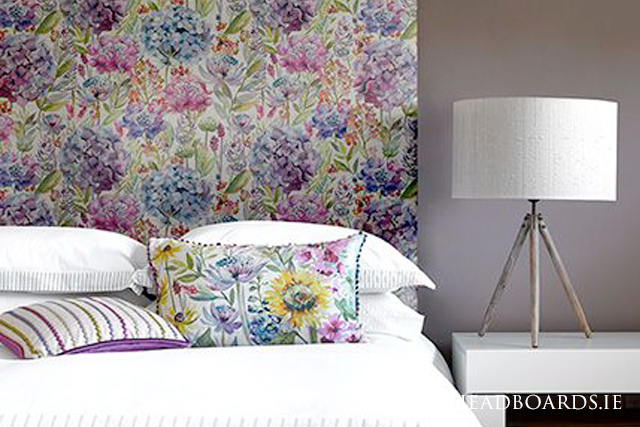 The floral headboard is a 3 panelled headboard that uses a feminine sumptuous printed velvet. The delicate touch of watercolour creates a montage of hazy florals printed on the softest velvet. Made from 100% with a width of 140cm. This is suitable for upholstery and curtains. 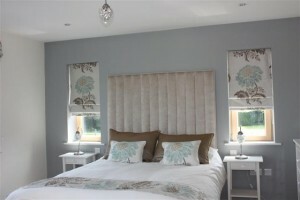 Please contact us directly if you would like to order additional fabric for curtains to complement your headboard. Care Instructions – Wash 30 degrees, Tumble Dry, Dry Clean. Do not Steam or Bleach. 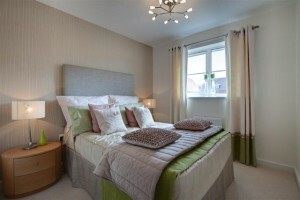 All our headboards come with a wall mounted bracket and we recommended that all our headboards are wall mounted. We also advise that you use a qualified fitter to ensure he uses the correct fittings and fixtures to suit your wall type. 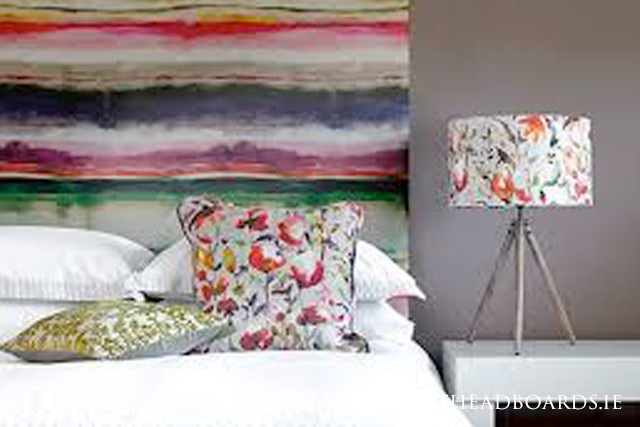 All of our headboards are made to order so we enjoy taking on commissions for both private clients and the hospitality sector. 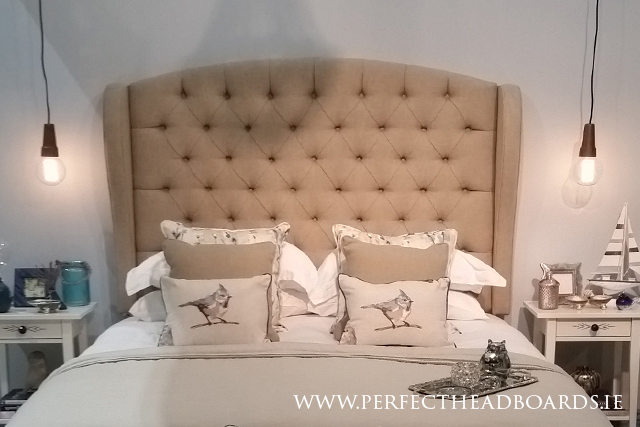 Please contact us at [email protected] where an experienced designer will liaise with you to ensure we create the perfect headboard for your room.